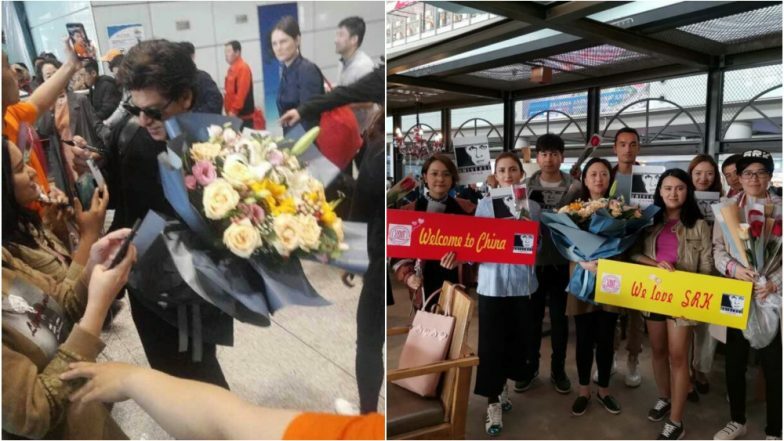 In one of the videos posted by the renowned fan club for the Bollywood actor, SRK UNIVERSE China, we see Shah Rukh greeting his fans whereas there is a loud cheer in the background. Shah Rukh does enjoy a global fan following and it was lovely to see the star interact with his fans in China. Last week, we saw a similar situation when Shah Rukh visited Kolkata for his IPL team, Kolkata Knight Riders' match and was thronged by fans outside the airport. Shah Rukh Khan Is Eating His Own Words and They All Look Delicious! According to the schedule provided by Beijing International Film Festival, Shah Rukh will also be participating in a dialogue along with director Kabir Khan about China-India Film Cooperation. In terms of the Indian films that will be screened at the festival, Shah Rukh Khan's Zero is also accompanied by legendary Indian filmmaker Satyajit Ray's Pather Panchali. Even though Zero received mixed reviews in India, it will be interesting to see how the film is received by the Chinese audiences at the coveted film festival. China has become a major market for Indian films in the past couple of years. Recently, Ayushmann Khurrana's 2018 film, Andhadhun was released in China and it has been receiving lot of love from the audiences there.